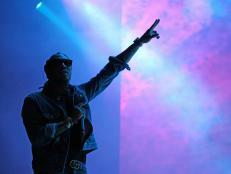 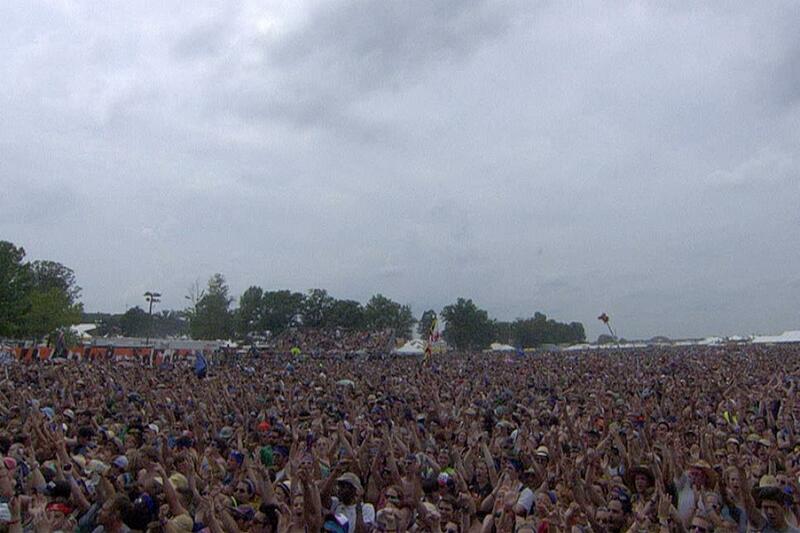 Adam checks out one of the biggest and best music festivals in the country: Bonnaroo in Manchester, TN. 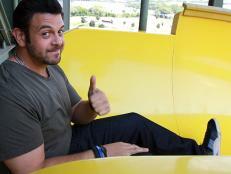 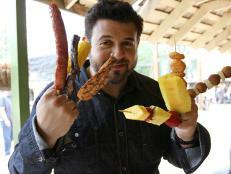 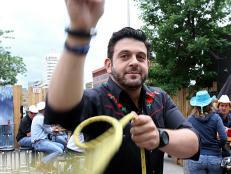 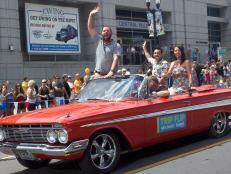 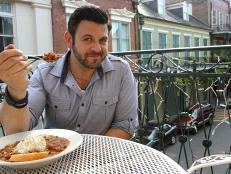 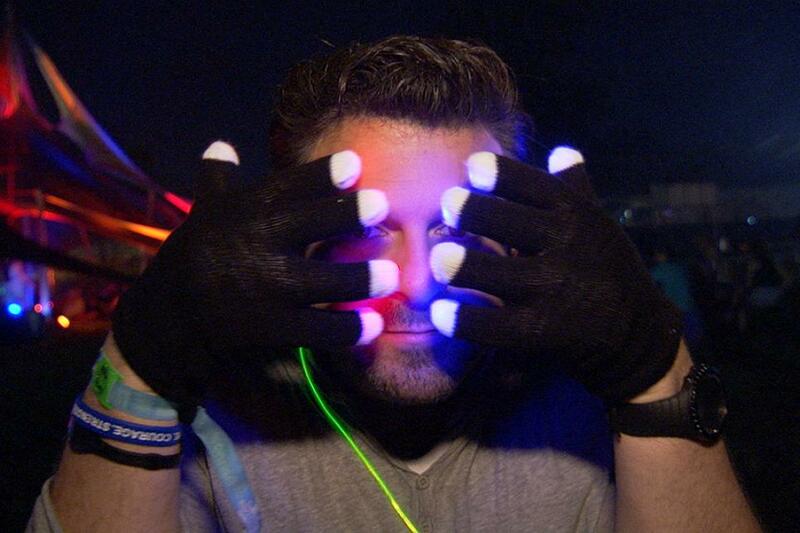 Adam Richman gets his hands on some glow-in-the-dark gloves, so he can enjoy the nighttime festivities in style. 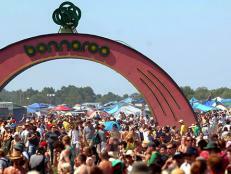 At Bonnaroo, the music starts around noon, but it continues well into the night, sometimes past 4 a.m.
Bonnaroo is held every year on a 700-acre farm in Manchester, TN. 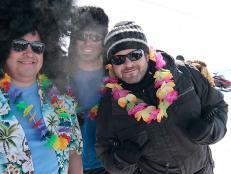 People travel from all over to enjoy the multiple stages of live music, featuring every genre, from its jam-band roots to hip hop and jazz. 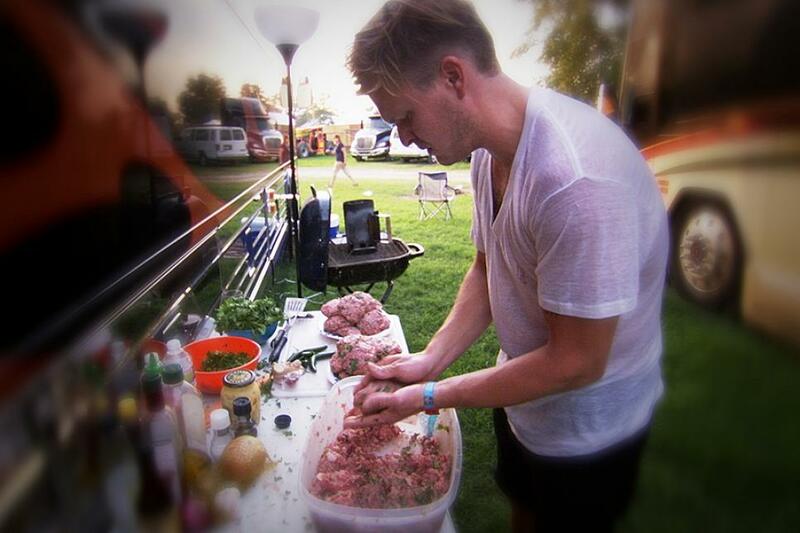 Adam walks around Bonnaroo, which is more than just live music. 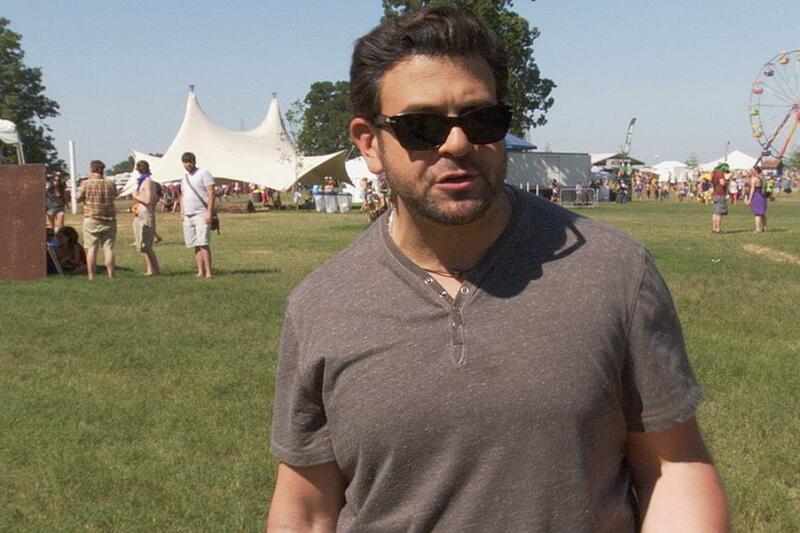 There’s also the Comedy Tent, the Cinema Tent and even the Broo’ers Festival Tent, featuring breweries from all over the US. 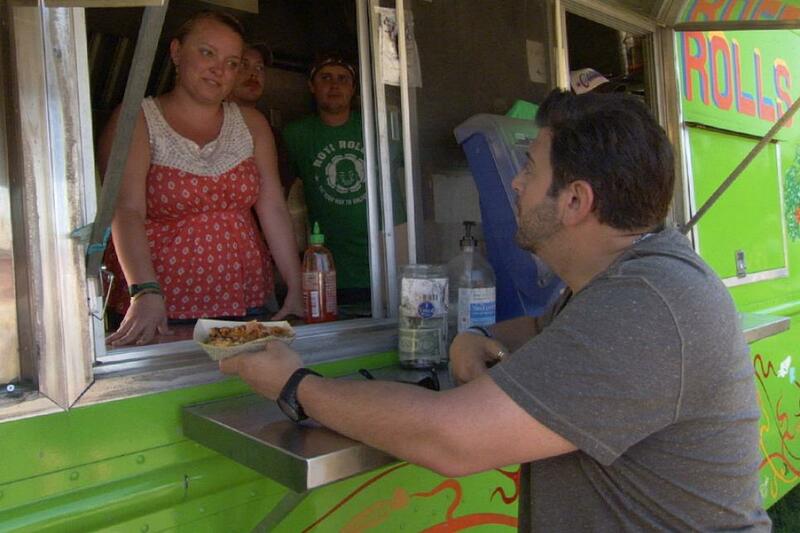 Adam grabs some delicious grub at the Charleston-based Roti Rolls truck in the Food Truck Oasis. 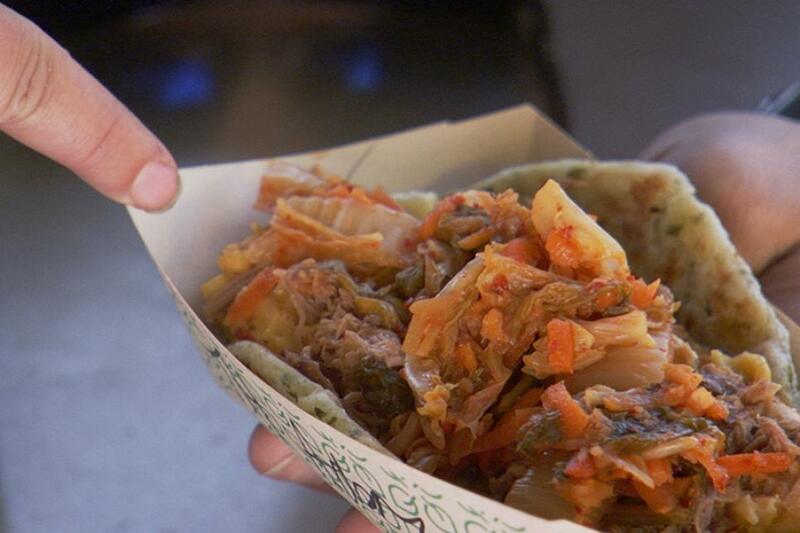 A close up of a Roti Rolls creation: Indian flatbread topped with pork, kimchi and Creole mac and cheese. 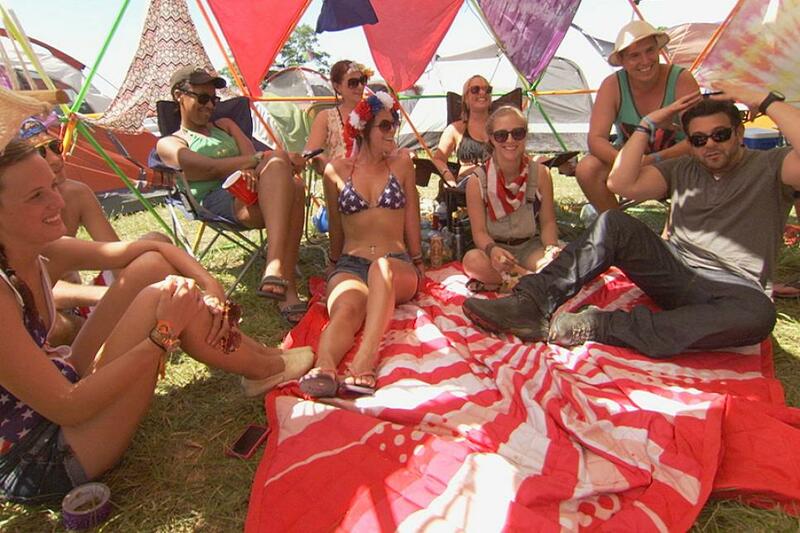 Adam hangs out with a group of Bonnaroo devotees in their tailgating tent. 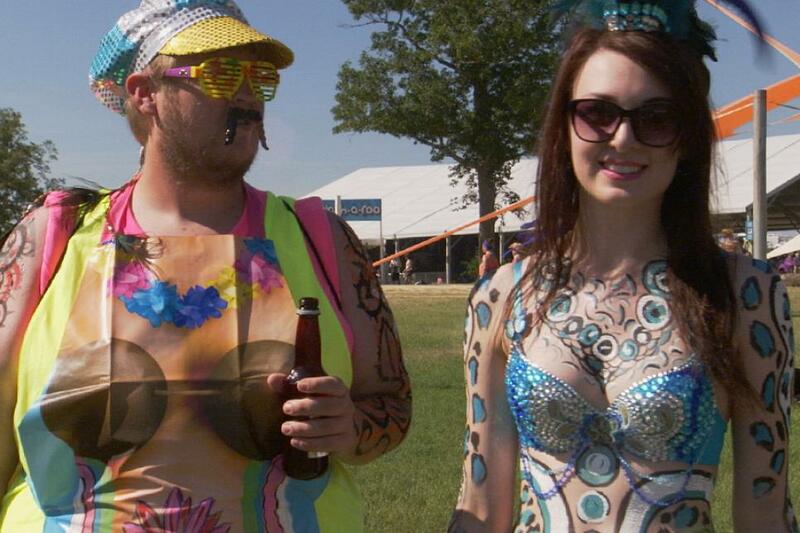 These Bonnaroo fans display intricately designed body art. 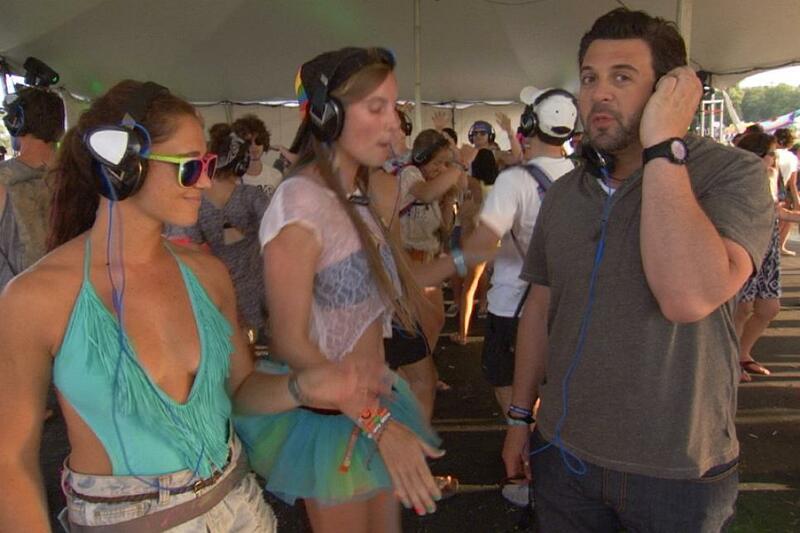 Adam checks out the Silent Disco, where each person is given a pair of headphones that are synced up with the DJ’s music. 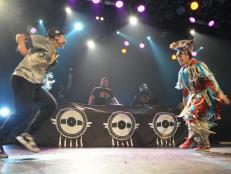 From an outsider’s perspective, it would seem that everyone is dancing to no music at all. 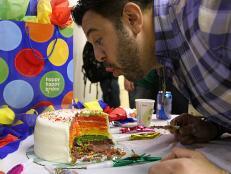 Adam digs into a gourmet dessert of fried strawberry pie with fellow fans. 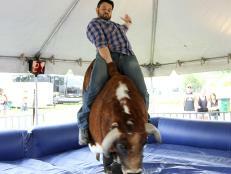 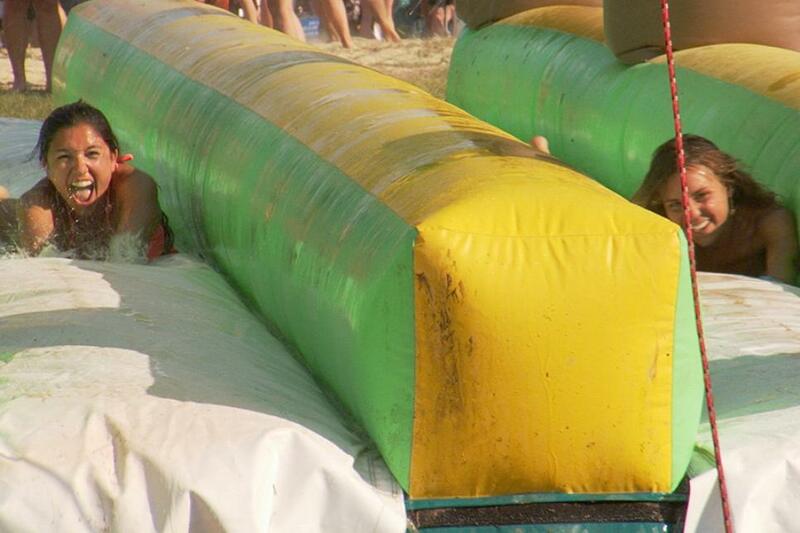 The variety of activities at Bonnaroo is endless. 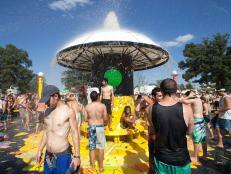 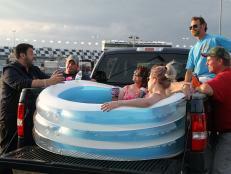 There’s even a water slide, known as Splash-a-Roo. 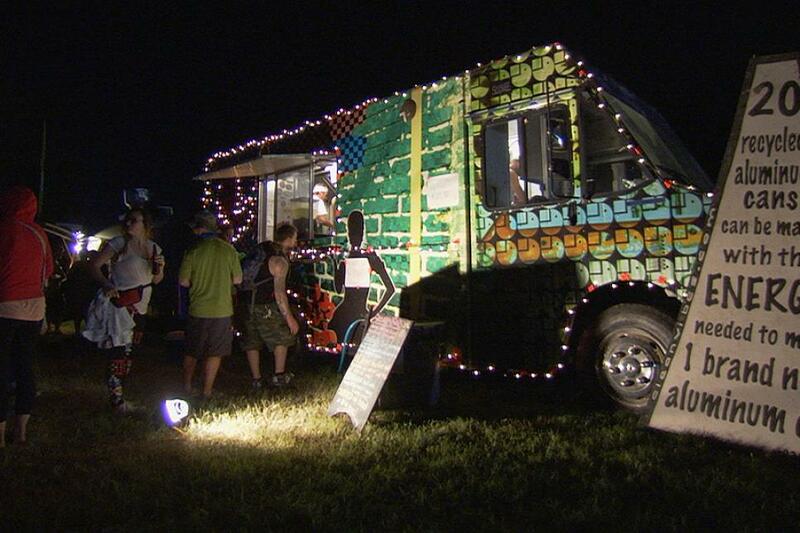 Bonnaroo fans line up for food at the Food Truck Oasis. 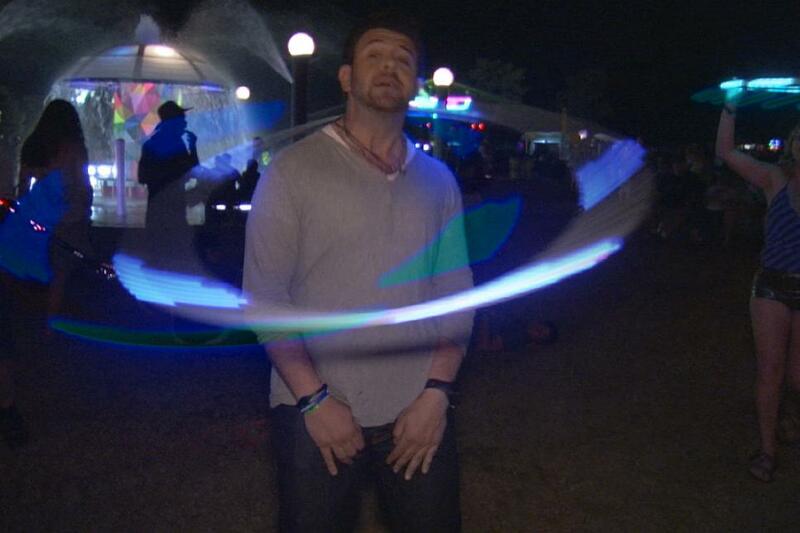 Adam tries his hand at a Bonnaroo specialty: the LED hula-hoop. 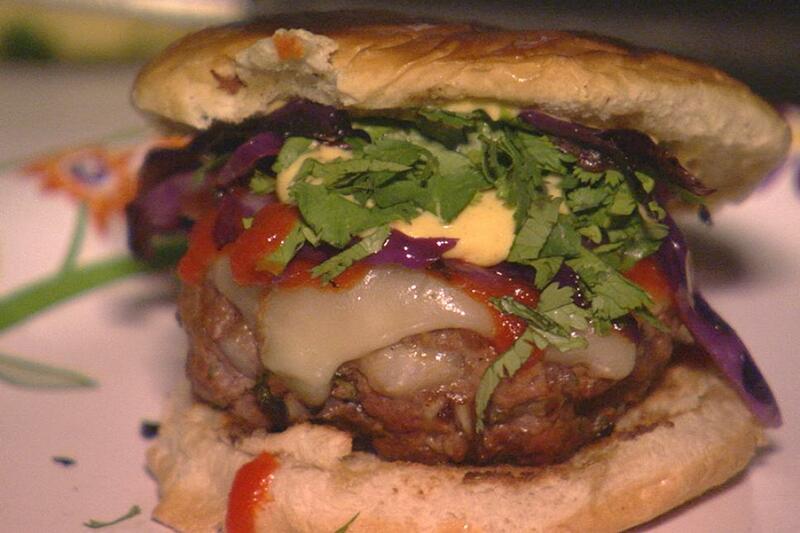 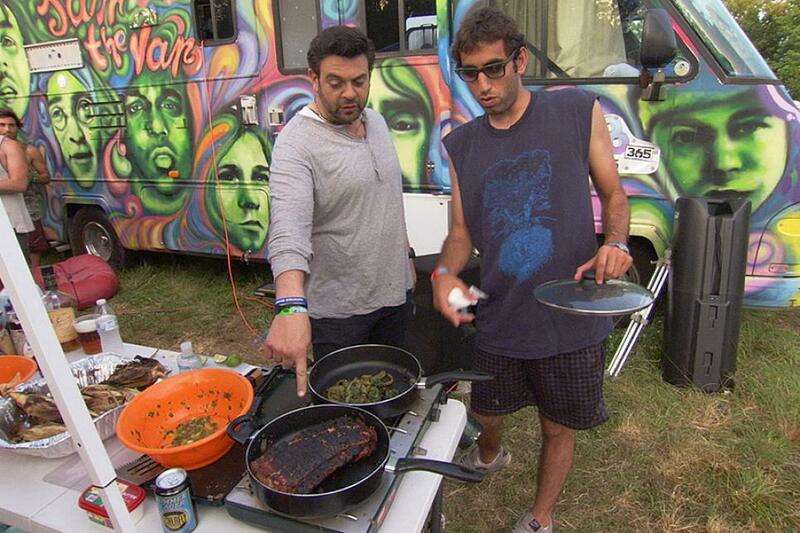 Adam stops by a tailgate with famed Brooklyn band Grizzly Bear, where bassist Chris Taylor makes a killer burger topped with an amazing grilled cabbage slaw made by drummer Christopher Baer. 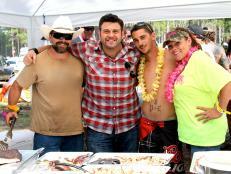 Adam heads over to meet Jake at his "Jam in the Van,” with a buffet featuring Caribbean jerk pork loin, huge lobster tails and tequila shots. 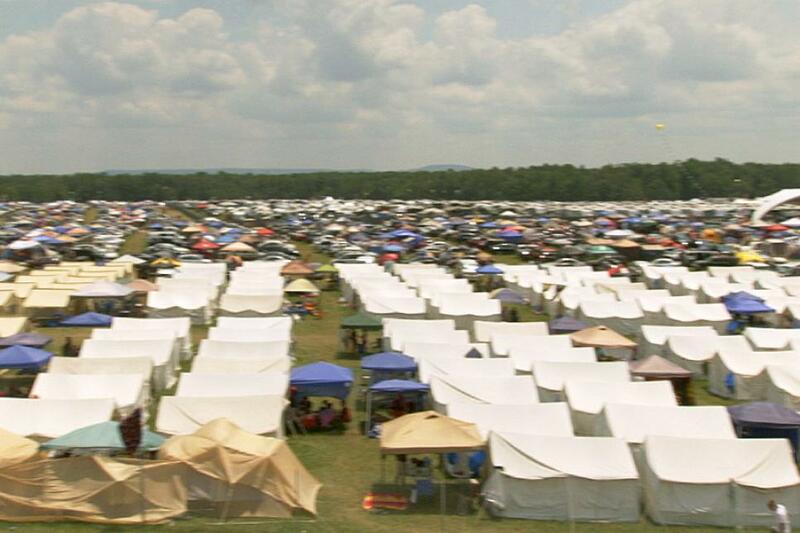 Bonnaroo started in 2002, and by 2003, it had already been named one of the top 50 moments in rock and roll by Rolling Stone. 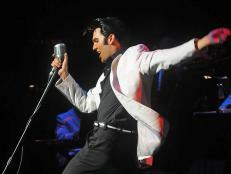 Now, it’s a necessary pilgrimage for any music fan.